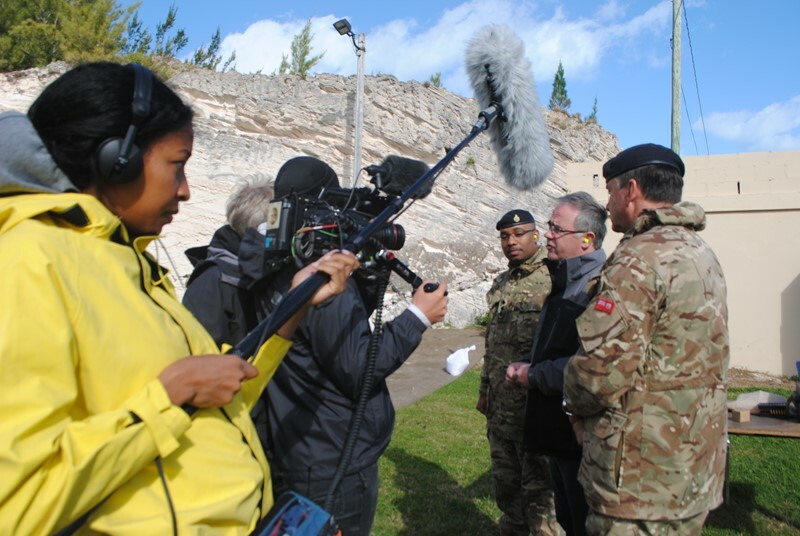 A television crew from Germany filmed the island’s defence force going through their paces on Saturday. 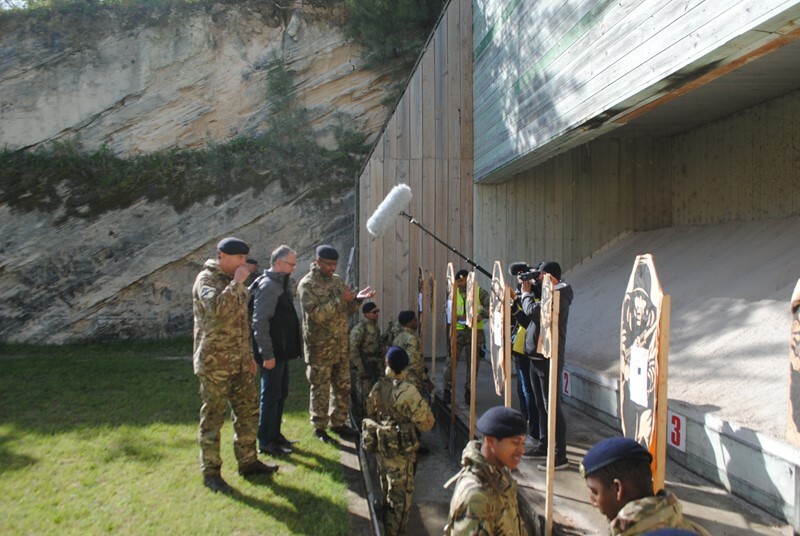 The team from Franco-German television company ZDF Arte toured Warwick Camp and captured soldiers in action as part of a series they are producing. Governor John Rankin talks about the role of the RBR with a German TV crew on the rifle range at Warwick Camp. Mr Rankin said, “They are making a documentary film about Bermuda, essentially showing the beauty of the island and what visitors might expect here. RBR Commanding Officer Lieutenant Colonel David Curley added, “Most of the soldiers they’ve seen are our new recruits from January.